Dave's Cast of Characters has been providing top-level entertainment throughout the tri-state area for over 20 years. Starting with a single costume, Daves Cast has grown to a full-service party company, offering a wide range of services including characters & performers, inflatables, carnivals, music & DJ/Karaoke services, arcades, tents and much more. It is the people at Daves Cast that make us special. Over the years, we have proudly gathered a roster of extraordinary actors and performers who are highly skilled professionals with many years of experience bringing laughs and fun to children... and adults, too. Our dynamic DJs work with state-of-the-art sound equipment and boast playlists from every era and across every style. These pros know how to keep a party lively and engaging. Daves ride staff is a well-trained, courteous crew, whose primary goal is to ensure the safety of your children. With our broad variety of services and extensive experience, we are perfectly comfortable in any venue. We provide entertainment for everything from backyard parties to multi-block street fairs; Bar/Bat Mitzvahs to corporate picnics; store promotions to weddings. 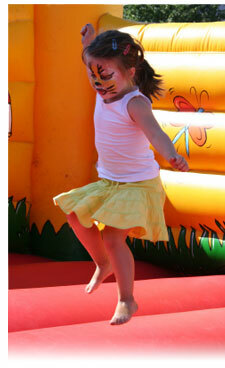 Whatever type of event you may have, we are there to guarantee fun for all. Feel free to browse though our site and see all the fantastic things we have to offer. Then give us a call and our professional staff will help you put together a memorable event, as only Daves Cast of Characters can do. Remember: We Bring the Party to You!